Coat stand offers plenty of room to hang clothes and accessories. Ideal for high-capacity lobbies and reception areas. The large tips on coat pegs are gentle on clothes. Large metallic crossed base delivers great stability. Elegant tube features a black finish for a sleek, professional look. 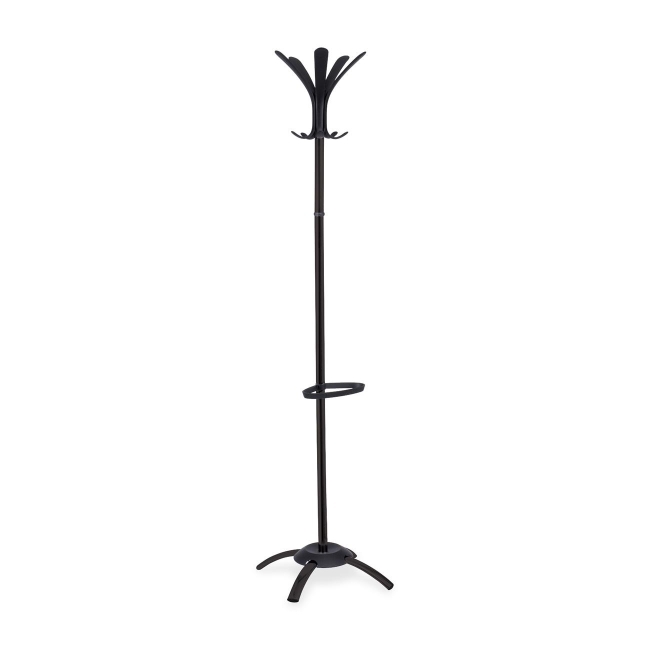 Freestanding coat stand holds up to 10 coats, and the built-in umbrella holder can hold up to four umbrellas.